Good Monday morning to you, friends! 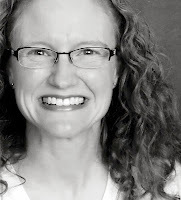 I'm so excited to be sharing my very first monthly feature for the DeNami blog: Ways With Washi! My goal for this feature is to inspire you to use washi tape in lots of fun and unique ways. Each month I will highlight a particular way to use washi tape and give you some project-based examples to show you what I mean. This month we are starting with a pretty obvious use for washi tape: making stripes. We have to start somewhere, right? Washi tape is perfect as a replacement for ribbon on cards. It is much thinner, which is great for mailing, and so much easier to adhere. Plus, washi tape is removable, so it's easy to gently peel up and adjust the placement if it isn't straight. Shall we take a peek at a few examples? I was in the mood to make Valentine's Day cards ;). 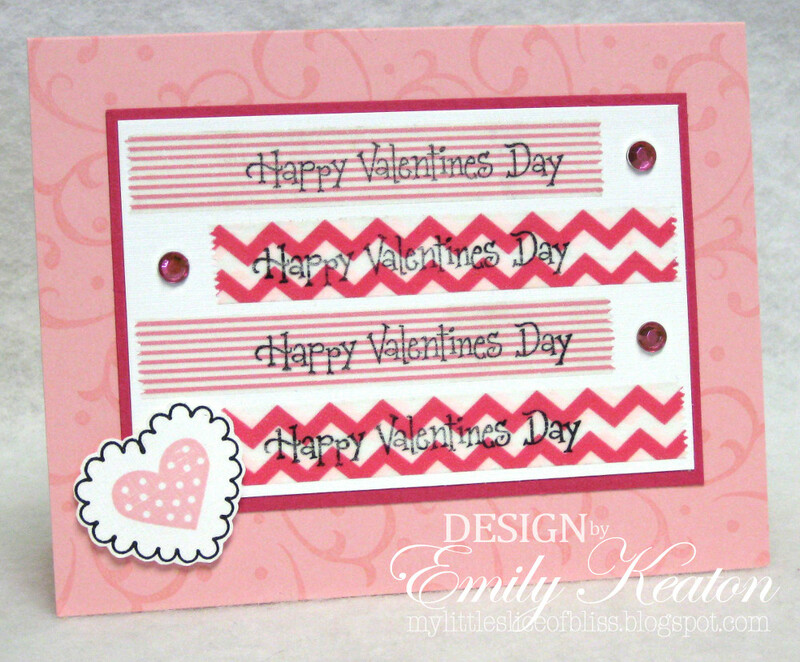 On my first card I used this sweet red stripes washi tape (available in the DeNami Design store) much the same way as I would have used ribbon in this card design. The advantage is that it is less bulky-- so easy to slide into an envelope--keeping this card nice and flat for mailing. No extra postage required here! Now, how about a bit of a twist? On my second card, I've used the DeNami white/red hearts washi tape and set my washi stripes on a diagonal. I'm still taking a page from the ribbon playbook here, but the process of finishing off the ends is so much easier! Simply wrap the ends of the tape around the edges of the card. Done. If you've ever tried a similar maneuver with ribbon, you know what a pain it can be to secure ribbon ends that have been wrapped around to the inside of a card on a diagonal. And over the card fold? Forget about it! Finally, here on my third card I've let my washi tape stripes take center stage. Don't these pink stripes washi and pink chevron washi tape stripes look awesome as the base for that stamped Valentine's Day sentiment? Together they create a unique focal point. Well, that wraps up this month's Ways With Washi! But, how about a little giveaway before you go? I'll leave commenting open until 11:59 p.m. EST on Wednesday, January 30, 2013, and will draw a winner at random from the entries. The winner will be announced right here on my blog on Thursday, Jan. 31, and if I'm able to find an email address, I'll be sure to contact the winner as well. Thanks so much for dropping by to visit today--it's always such a treat!! And of course I follow your blog ;) through blogger!! Your cards are gorgeous! I love the hearts on the diagonal...and you are so right about ribbon not working so well on that one. The heart washi tape is so cute for Valentine's day. I have never bought washi tape, although I did make some faux tape with double sided tape and stamped tissue paper. Not quite the same...but fun to try. Yes I am a follower! I don't want to miss any of your great designs. Your trio of cards are just adorable. You're right about getting ribbon on the diagonal to the inside...a chore. I do love Washi tape. I use, abuse, and love washi!! it's in a LOT of my projects! I love the layouts you've used - and which ink did you use to stamp on the washi? I haven't had any luck so far not smearing it when I've tried. I LOVE washi tape! Your cards are absolutely fabulous! They are all so fun! These are darling! And, I find myself collecting Washi Tape, using it, and loving it already too!!! wow your cards are so fun and loving the washi tape.. thanks for the giveaway... 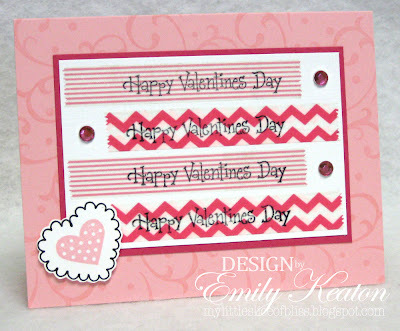 I have used washi tape and love it..
What wonderful creations and a wonderful feature, Emily! As you know, I've used Washi and have become a HUGE fan :) I happened to do a "all about Washi" post today to and linked to your blog. Thanks for the inspiration and hosting a give away! I like how you used the washi tape on your cute cards. I have used washi tape before. I usually make stripes that don't make it all the way across the page so you can see the ripped end. I really like the look of stamping greetings on the washi tape but I absolutely don't understand Staz On ink at all. I have a pad it never worked. I got a reinker and reinked it. It still didn't work. I still have not used Washi tape. But seeing more of these cute ideas I'm thinking it is time to try it! Cute cards! I love Washi tape and would love to win some! Emily love how you used washi. I am so new to using it and your samples and a great kick start for me. Your cards are just adorable! I have been aquiring quite a collection of washi tape and I love it! So easy to use! I can't wait to see what else you do with washi tape! You are just what I need to keep trying with the washi tape! Thank you for such beautiful works of inspiration!! Emily!!!! Your cards are fantastic! I have the red and white striped washi used in the first card and I can't wait to try it out now! I think this new feature is so exciting! I've never used Washi tape! I've looked at it in the craft stores but always "needed" something else worse. Like adhesive. I love how you've used it in these sweet cards and especially like how flat it is. Mailing is a big priority for me. Lovely cards! I have not used Washi tape yet but just ordered some from craftysteals.com and can't wait to try it out. 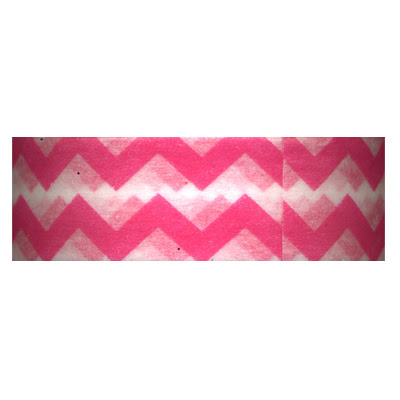 Thanks for the inspiration and chance to win this great chevron washi tape! 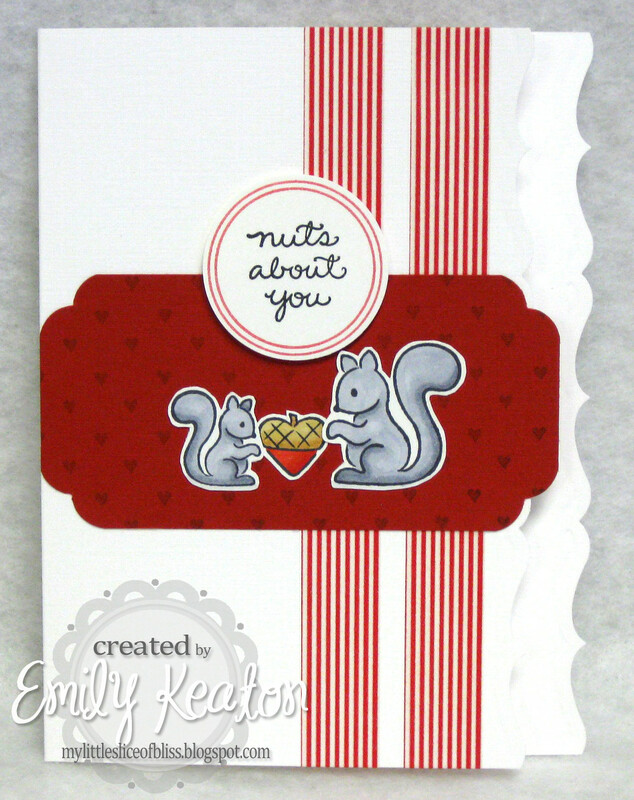 Oh do I love that first card with the adorable squirrels on it!! I have only used washi tape once but I love it! Thanks so much for the fun giveaway...I'm already a follower! I have used washi tape! Love it! I am already a follower through Google reader! This is so Awesome Emily!! I love what you're doing with Washi Tape - haven't taken the leap yet but sure do enjoy seeing all the wonderful options. 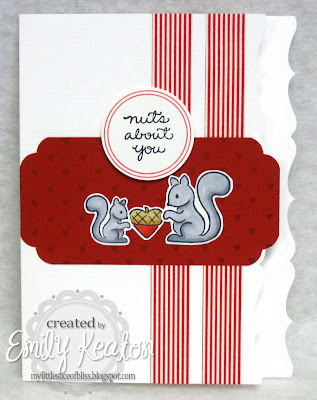 Emily, your cards are so fun and I love the Wash you have used on your cards! I can't wait to see what you feature in the coming months! You always inspire! Hi, Emily! I left you a comment over on the DeNami Blog but just HAD to pop over here and tell you again what an OUTSTANDING job you did on your feature!!! Your write-up is superb and your samples are TOTALLY ADORABLE!!! Fantastic work, my friend! So excited for your new feature at DeNami!! Yes, I used washi once. :/ I'll have to use it more often! Wow, these cards are phenomenal! I love your various use of washi, especially at a diagonal, what an impact! I'm not commenting to enter, however I do use washi more and more now. I like it some days and I don't like it other days...sigh. yay washi! Love and hoard that stuff! Gorgeous cards! Thanks to your post of these awesome cards, Emily, I will now attempt to use washi tape. The more ways I see it used, the more eager I am to take the plunge. Thanks for the chance to win some…and pink chevron is my fav! Very sweet cards...love how you used the washi to anchor the images and create interest. I love using washi on my cards and I have been using them more often. All your cards look wonderful. I need to start using my washi tape a bit more. Oh, Emily, you are so talented! Love how you used the washi tape! Very clever and the tape is so cheerful. I like the idea of adding less bulk on cards to be mailed; also no sticky glue or tape mess. This is one supply I have never tried Emzi - and I never wanted to until I read your blog post and saw the advantages. After a $4 bill to mail one card a few weeks ago, I have been trying to flatten out my cards a lot more. Love the chevrons especially. These are some great cards - super cute. Love the squirrels! Can't wait to see what you have in store next month! Hugz! Lovely cards and tutorial Emily! These are gorgeous Emily. Your style is just perfect for this tape. Your layouts are perfect. 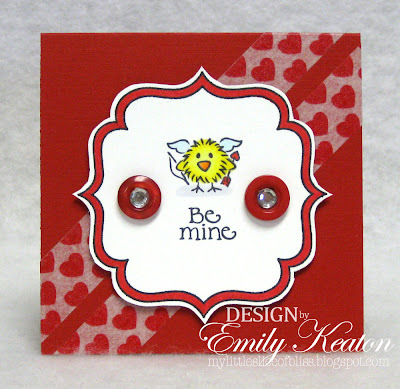 Great cards, Emily! I may learn to use my Washi yet! I have to say, DeNami's designs are the best I've seen--love the pink Chevron & the hearts. These are darling! Great cards all using this tape... Clever girl! love all your washi tape card ideas ! LOVE, LOVE, LOVE your washi taped cards. I'm finally getting the hang of it and have been using it more and more lately. Excited to see what else you create with it.